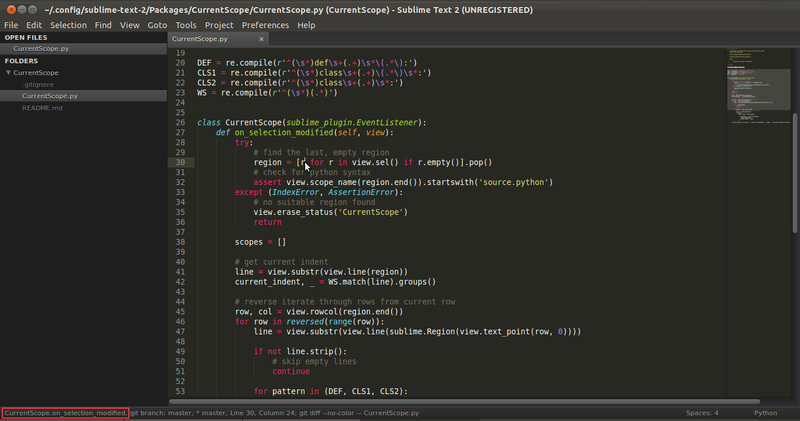 For now it only supports Python. note: This step requires Package Control. Open the Command Palette using [command + shift + p] and enter "install package". You can download the latest source from GitHub and copy the currentscope folder to your Sublime Text "Packages" directory.